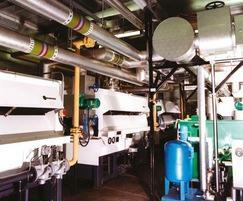 Heatpak packaged boiler houses have a standard specification and can cater for various heating loads. They are suitable for installation on rooftops or alongside buildings, enabling valuable interior space to be utilised for other purposes. The system incorporates Econoflame boilers that have a relatively low weight, which enables rooftop structural limitations to be overcome. They can also be supplied as mobile packages for ease of relocation. Heatpak standard specification is designed for heating only. However, where HWS generation is required, the compact Econoplate heat exchanger can be included in the package. 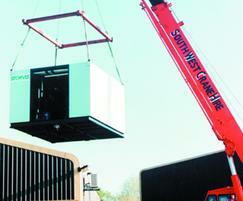 In most cases this will fit within the standard enclosure, keeping capital cost to a minimum. A choice of natural, fan-assisted or fan dilution flue systems is offered to suit on-site conditions. 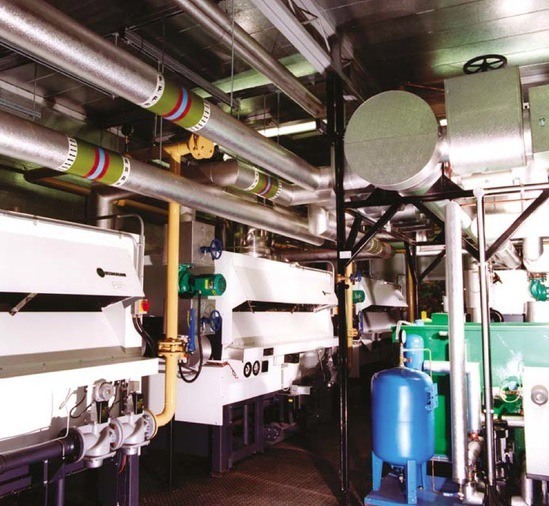 Both Econoflame boilers and Econoplate heat exchangers are almost silent in operation, eliminating the need, in most applications, for additional acoustic insulation in the package. Boiler room exteriors can be finished in brick effects or any BS colour in order to blend aesthetically with nearby buildings.